One characteristic of scar tissue is that hair growth never recovers. Thanks to the HSI method, it’s now possible to achieve hair growth on scars, even if only a small number of donor hairs are available. Traditional hair transplant techniques are often limited by the number of hairs in the donor area and the size of the graft. With the HSI method, part of the hair follicle remains after the graft is extracted, leading to continued hair growth in the donor area. These new hairs can serve as donor follicles for future treatments. For more than 28 years, doctor and researcher Coen Gho have been closely involved in the development of new medication and treatment methods for people with scars from burns. The results of these studies have led to the emergence of the HSI method that has been a crucial development for many years for their physical and psychological recovery. Especially with burn patients it is often the case that only a small donor area is available for the hair transplant. In addition, these patients have usually undergone multiple reconstructive operations, which are not only physically but also psychologically a heavy burden. In the case of burn patients, it is often the case that there is only a small donor area available for the transplant. In addition, these patients have in many cases already undergone several reconstructive operations which are not only physical but also psychologically a heavy burden. Dr. Coen Gho’s goal was to develop a technique that is not only virtually painless, but also knows a rapid healing process. Scar tissue is by definition characterized by the absence of hair follicles, which can no longer restore the original hair growth. But thanks to the HSI method, it is also possible to realize new hair growth on scars. Thanks to the specially developed medium in which the grafts are stored after extraction, those grafts remain in optimal condition. As a result, quality on the skin can also be a good result. In particular, for burn patients, this technique, which is not only very painless but also knows a rapid healing process, is a result. 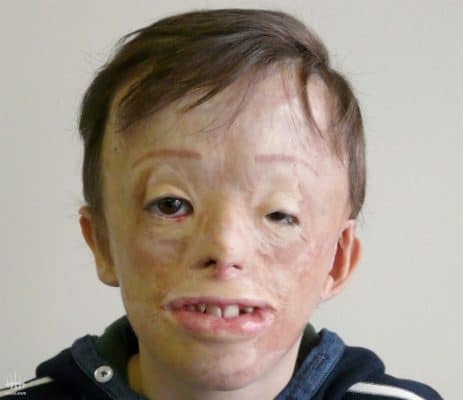 One of Hair Science Institutes greatest success stories is that of Igli, who suffered severe burns when he was just six months old. He has always dreamed of having a full head of hair. After several successful treatments with the HSI method, Hair Science Institute was able to make this dream come true.